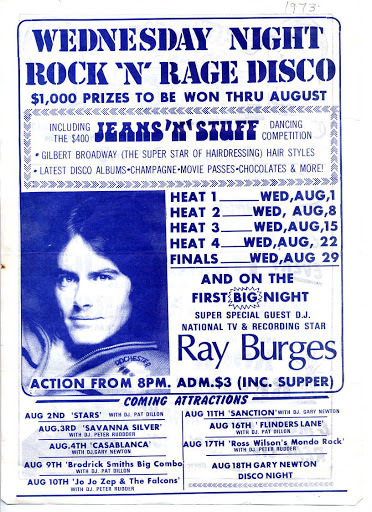 Song of the day: Ray Burgess – "Love Fever"
“Love Fever” was yet another song in the never-ending stream of 1970s’ compositions/productions by the unstoppable force that was Harry Vanda and George Young. Oh, speaking of Vanda and Young: I forgot to mention yesterday who wrote and produced “Can’t Wait For September” (yesterday’s Song of the day). Yep, you guessed it. Harry and George wrote and produced that, too. You are currently browsing the archives for the Ray Burgess category.